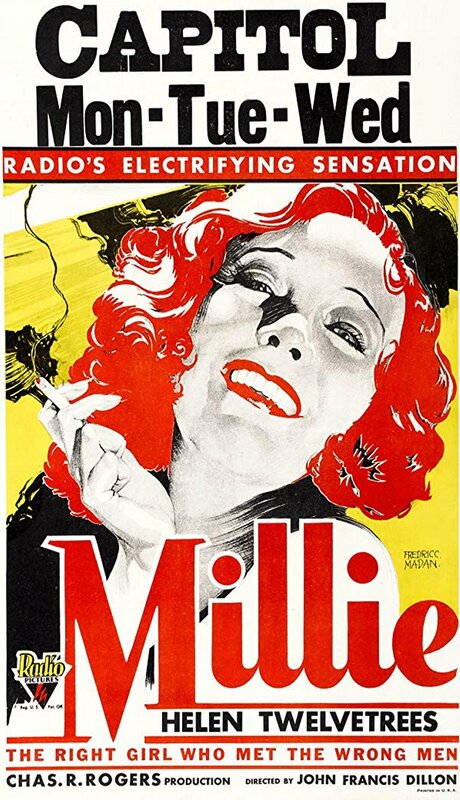 Millie is a well-made, well-acted early talking picture, but like many of these "pre-code" melodramas, it is not going to seem very entertaining to most classic movie fans because it is so unremittingly grim and sleazy. It works overtime to portray life in early 20th century urban America as a nightmarish merry-go-round of boozing, empty partying and infidelity. 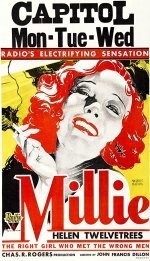 Not a single strong, moral major character lightens the dark immorality and hedonism. All the men are cheaters, womanizers, child molesters, and drunkards. The women all victimized weaklings, whores, dumb broads, cats, and lushes. Nevertheless, the tone is ultimately cautionary rather than exploitive. - imdb.